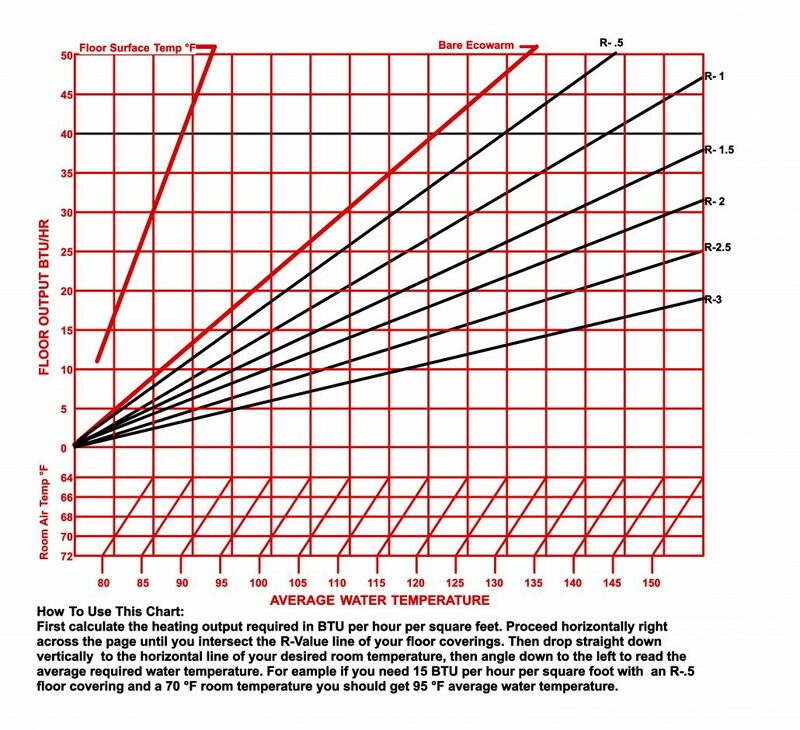 All types of radiant floor heat delivery systems are not equal in efficiency and response. Underfloor systems are popular because they can be installed under an existing floor without disturbing existing flooring goods (hardwood) and they appear to be easy to install. There are several ways to heat from an underfloor but the only method with any pretensions to efficiency or response use underfloor heat transfer plates. This limits output and requires significantly higher water temperatures in the tubing, lowering dramatically the efficiency of the system and raising operating costs significantly. 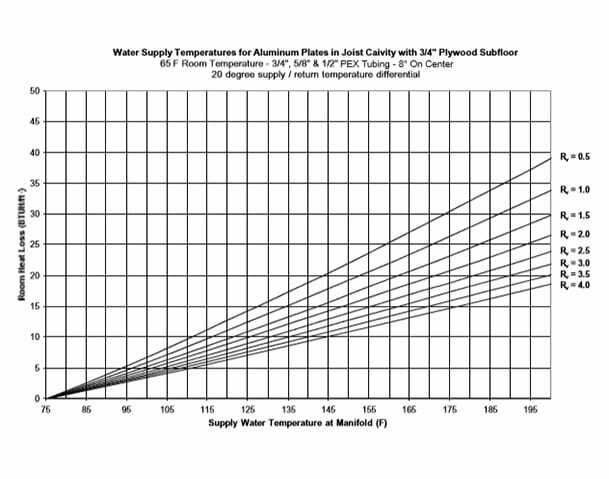 See below: there is a 50F difference in supply water temperature required to supply the same floor heat output for the two different systems!!! Despite these disadvantages, these systems are sold because sometimes there is an existing finished floor that cannot be removed (consider a radiant ceiling system). Often, they are sold to DIY homebuilders who are attracted to the lower materials cost. Since DIY installers often do not value their time accurately, these systems give a false impression that they are inexpensive. Additionally, the life cycle costs of underfloor systems, particularly staple up and hanging systems, are much higher than Ecowarm RadiantBoard. Important! Underfloor radiant systems require excellent application of foam insulation below the tubing because the temperatures in the chamber below the floor can get very hot to overcome the higher resistance.